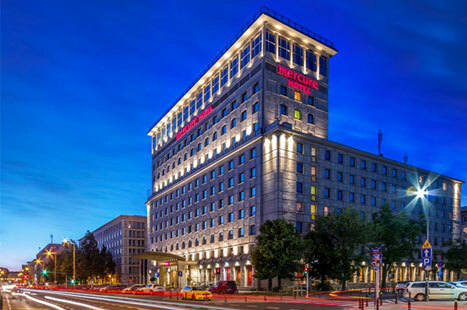 Mercure Warsaw Grand is a 4-star hotel located in the heart of the city, near the main streets of Warsaw city center and close to the Old Town. 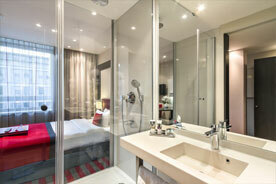 This prestigious location is surrounded by ministries, embassies and the best fashion houses and restaurants. The hotel’s comfortable rooms, professional service, and delicious cuisine make it the ideal place ideal for business and leisure guests. 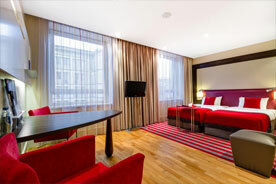 Please book your room directly through the Hotel Mercure Warszawa Grand using the reservation form. The Password to benefit the special rate is Wine Expo Poland / Warsaw Oil Festival (for e-mail, fax and telephone bookings). 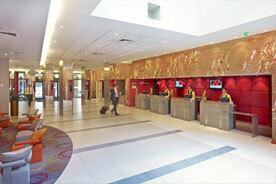 After indicating the agreed password, guests will be granted a room rate specified above.